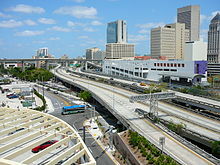 ^ a b Quickfacts.census.gov - Miami-Dade County Archived 2011年7月14日, at WebCite - accessed 2011-12-06. 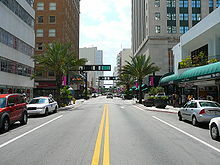 ^ Quickfacts.census.gov - Miami, Florida Archived 2012年7月12日, at WebCite - accessed 2011-12-06. ^ Parks, Arva Moore (1991). Miami: The Magic City. Miami, FL: Centennial Press. p. 12. ISBN 0-9629402-2-4. 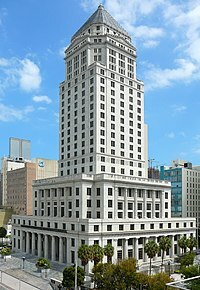 ^ Miami-Dade County Government Archived 2007年4月3日, at the Wayback Machine. ^ Muir, Helen. (1953) Miami, U.S.A. Coconut Grove, Florida: Hurricane House Publishers. Pp. 136-7. ^ "Contact Us Archived 2009年12月28日, at the Wayback Machine.." Brightstar Corporation. Retrieved on January 9, 2010. ^ "We're Listening." Burger King. Retrieved on January 31, 2009. ^ "Contact Us." Intradeco Holdings. Retrieved on January 9, 2010. ^ "Contact Us." Latin Flavors. Retrieved on January 9, 2010. ^ "Contact Us[リンク切れ]." Norwegian Cruise Line. Retrieved on January 9, 2010. ^ "Contact Us." (Direct link to image) Centurion Air Cargo. Retrieved on July 1, 2010. 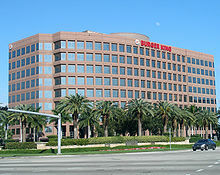 "Head Office 1851 NW 68 Ave., Bldg 706 Miami, FL 33126. This address may incorrectly be mapped to a residential subdivision. 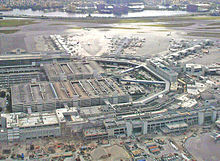 The proper location is at Miami International Airport. ^ Home page. Florida West International Airways. Retrieved on January 7, 2010. ^ "Locations Archived 2008年4月14日, at the Wayback Machine.." International Bonded Couriers. Retrieved on January 9, 2010. ^ "Contact World Atlantic Airlines." World Atlantic Airlines. Retrieved on December 31, 2012. "5600 NW 36th Street Suite: 450 Miami, Florida 33166"
^ "MIA LOST AND FOUND PUBLIC AUCTION ON MARCH 20 ." Miami International Airport. March 9, 2010. Retrieved on December 31, 2012. "5600 N.W. 36th Street (Building 845), Third Floor"
^ "Prelude." (Select "English," then select the mail icon in the upper right hand corner of the screen) Unicomer Group. Retrieved on March 4, 2010. ^ "World Airline Directory." Flight International. 14–20 March 1990 "Airlift International" 57. ^ a b Beacon Council. Beacon Council. Retrieved on 2012-12-18. ^ Prefeitura.Sp - Descentralized Cooperation Archived 2008年12月24日, at the Wayback Machine.